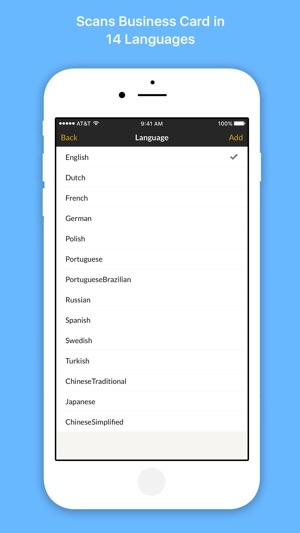 Scan business cards in 14 languages. Save leads and contacts to Zoho CRM, Salesforce, Google Cloud, and more. Scan business cards in 14 languages, including English, French, Spanish, German, Dutch, Portuguese, Polish, Turkish, Chinese, Russian. Sometimes lighting isn't ideal and not all your data gets added perfectly. Make quick edits by dragging boxes of suggested data onto the proper fields. Automatically see if the person whose card you scanned is a lead or contact in Zoho CRM, or how many support requests they've submitted in Zoho Desk. If their photo is in Zoho CRM, or if they supply a Twitter handle, we can pull their image as well. 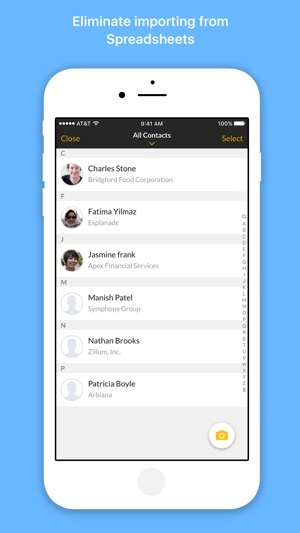 -Use Contextual Reminders to link back to a lead or contact at a specific time. 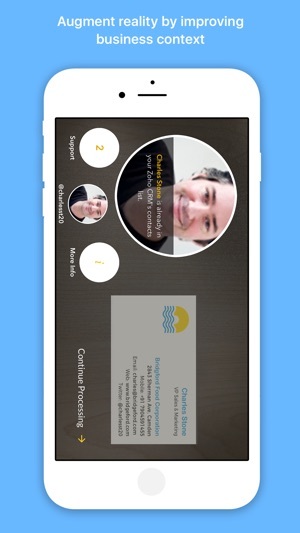 -With CallKit, contacts saved in Card Scanner will pop up when calling you. 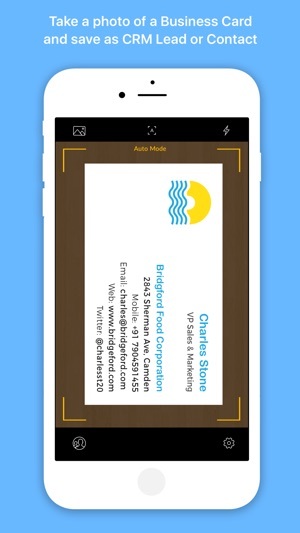 -Ask Siri to search for photos of business cards. 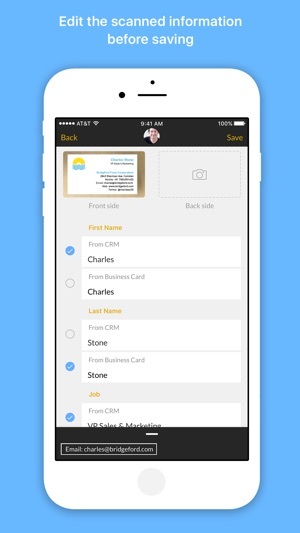 -Share scanned business cards right from iMessage. We recommended using Card Scanner in well lighted areas, with cards placed on flat surfaces. We've fixed a few bugs and made a few enhancements. Have been using for a while. Each card has to be scanned 2 - 3 times. Wrote to zoho and also replied to their mail. No action. Very good app indeed - that too at a fraction of the cost of SamCard! 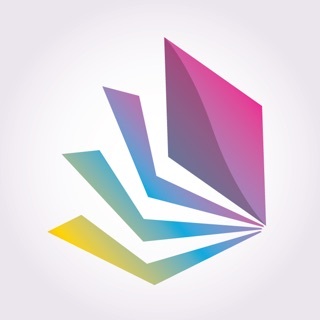 Proud to see a fantastic app from India!